Indian fashion began to actively absorb elements of Western dress. But somewhere our Indian touch is seen and this brings to a new fashion. Do you know how both touch are there in our fashion? Throughout the 1980s and 1990s, Western designers enthusiastically incorporated traditional Indian crafts, textiles and techniques in their work at the same time Indian designers allowed the West to influence their work. Almost in 21st century, both Western and Indian clothing had intermingled creating a unique style of clothing for the typical urban Indian population. Women started wearing more comfortable clothing and exposure to international fashion led to a fusion of western and Indian styles of clothing. Fashion designers in India have blended several elements of Indian traditional designs into conventional western wear to create a unique style of contemporary Indian fashion. As a result we find ample of choices from ethnic to indo-western styles with different patterns, cuts and designs.  Women’s clothing in India nowadays consist of both formal and casual wear such as gowns, pants, shirts and tops clothing such as the kurti have been combined with jeans to form part of casual attire. Kurtis are typically much shorter than the traditional garments and made with lighter materials, like those used in sewing kameez. Kurti has become the women and girls most favourite dressing style to look stylish with charming traditional look. Kurtis are normally the top worn along with funky jeans, capris, leggings or pyjamas. Some popular types of kurtis are Tail Cut kurti, Trail Cut Kurti, A-line Kurti, Flared Kurti, Floor length Kurti, Indo-western Kurti, Tulip Kurti, Denim Kurti, Kurti with Jacket, Kaftan style Kurti etc. This is the best western wear for young Indian girls and women’s. In this type of Kurti, The front side of the kurti is kept short and the back side is kept long. It can be paired with leggings, jeggings, stockings, jeans etc. It is found in all materials like cotton, polyester, Rayon, Georgotte or poly Georgotte. It is best outfit for college girls. It can be wear in parties to give glamorous look. A-Line kurti is the most favorable for youngsters and there is a large collection available in the markets. It reaches to the calf or ankle and it has flare from the waist for making ‘A’ shaped panel. This is available in different colors, shades, embroidery designs and patterns. This are worn on tights, capris, jeans etc. this is best in daily wear collection. It has C cut on both the sides of the kurtis. It is preferred to have in georgette, chiffon, silk, embroidery border to enhance the look of designer cuts. It is a good casual wear, in college wear or for outings. This kurtis are equivalent to gowns as it comes up to floor length. This is a favorite style in Bollywood for its rich and royal look. It is available in many styles like Anarkali styles, Printed, Embroidery style. It gives gorgeous look when worn in festives, functions, parties, weddings. It is a short or Knee length Kurti for non traditional events. In this type, the Kurti is given special neckline and different styles are made in sleeves to mix western and Indian look together. This are also wear in parties, Datings, outings as an evening wear and it can be paired with jeans, leggings, jeggings, dhotis, Tulip pants etc.